I know…. I know it’s been awhile, I’ve been lagging on posting these last couple months. We’ve had lots of guests visiting and life in general has been very busy, big changes are coming soon!! While we live at the beach here in So Cal, the June Gloom which now starts in May Gray is lingering into July. When I wake up to drizzle and grey clouds, it makes me think yummy warm things should be coming out of the oven, but it’s SUMMER!! what to make?? what to make?? 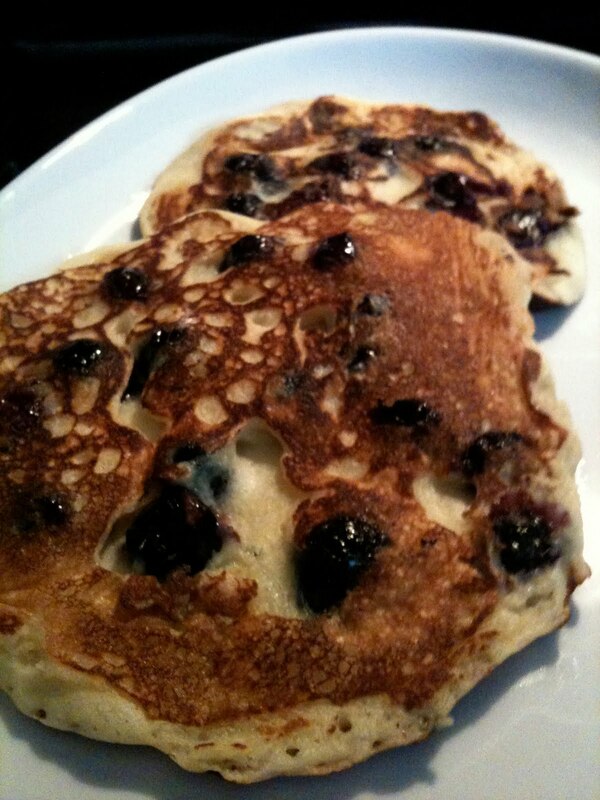 I had a pint of fresh organic Blueberries, so I whipped up some Pancakes and baked a tray full of Bacon. This is the easiest way to cook bacon with little mess and it comes out shaped nicely and perfectly cooked. Preheat your oven to 400 degrees. 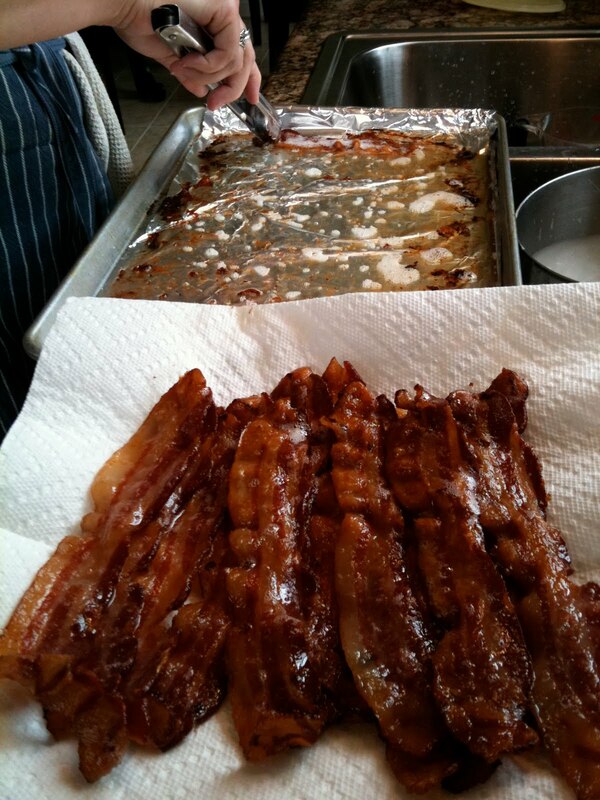 Line a baking sheet with foil, for easy clean up. 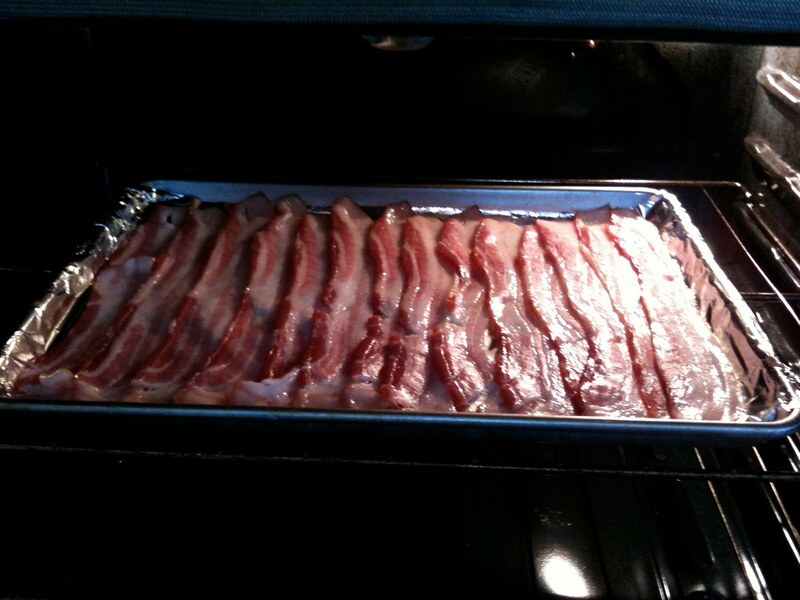 Place the bacon flat and evenly across your baking sheet. Bake for 10 to 15 minutes, depending on how crispy you like it. Pay attention, it will crisp up very quickly. Use your favorite recipe or box mix, whatever you like. Here’s my recipe if you’re game. 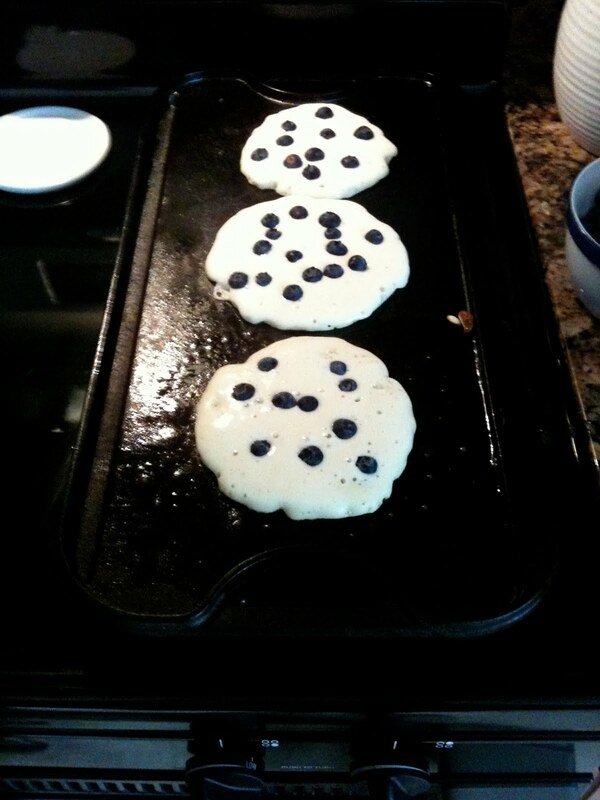 Heat a large seasoned cast iron skillet, frying pan, or griddle over medium heat. Wipe cook surface with oiled paper towel. Ladle 1/4 cup batter for each pancake and cook until bubbles cover the top, drop fresh Blueberries on to the pancake, about 3 minutes, flip and cook until golden brown, another 1 minute. Repeat with remaining batter. Serve immediately topped with warmed REAL Maple Syrup. These are really good to toast up the next day, quick and easy breakfast to go. They freeze well too. 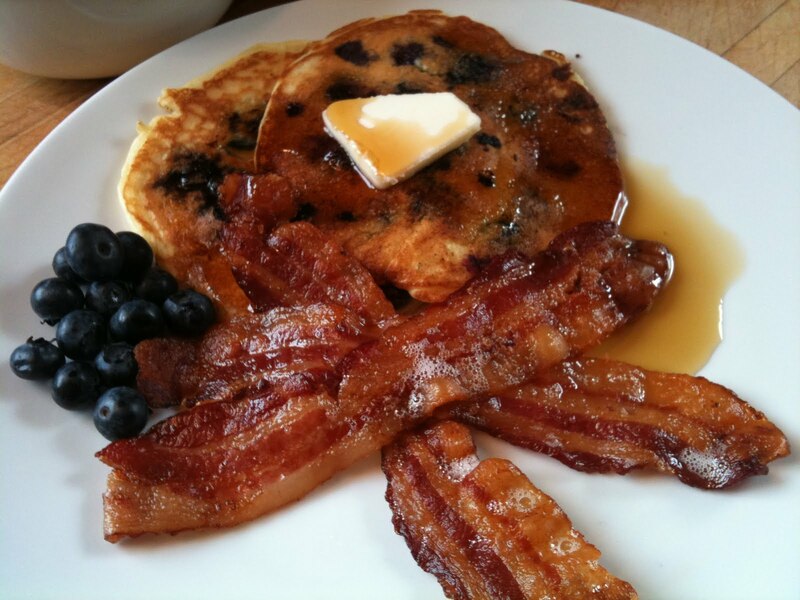 This entry was posted in Breakfast by Sarah. Bookmark the permalink.